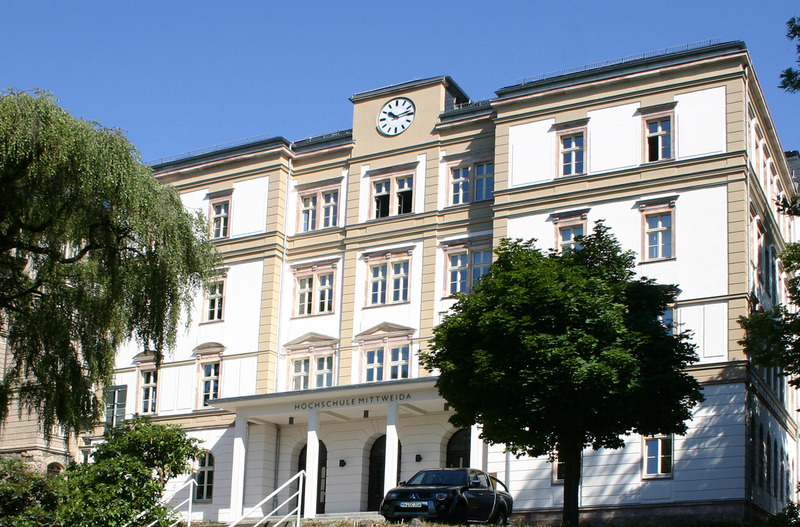 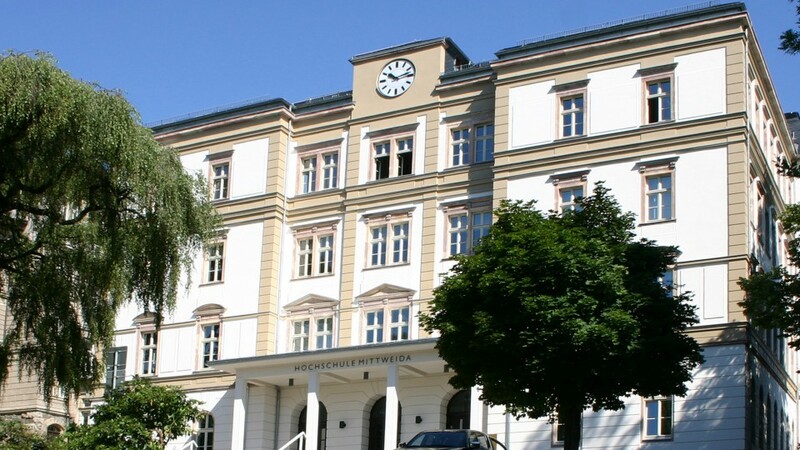 The main building of Mittweida College was built in the 19th century in several stages around an atrium. 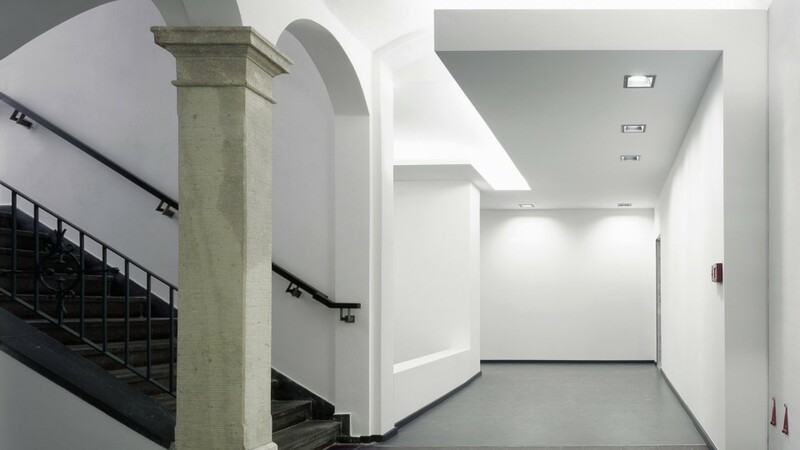 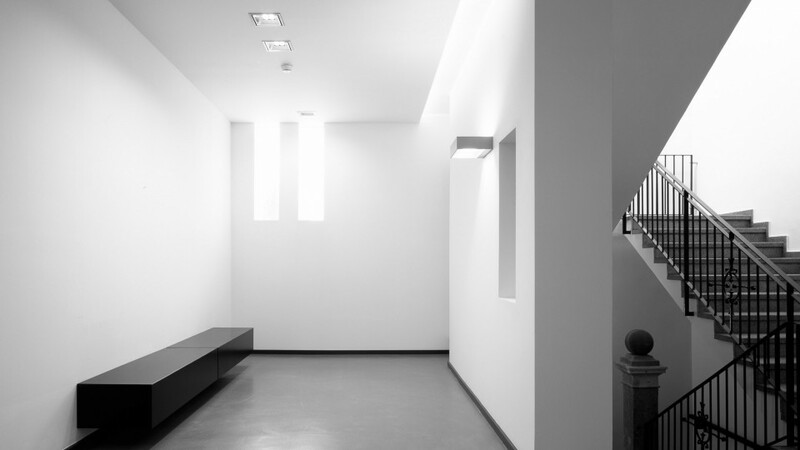 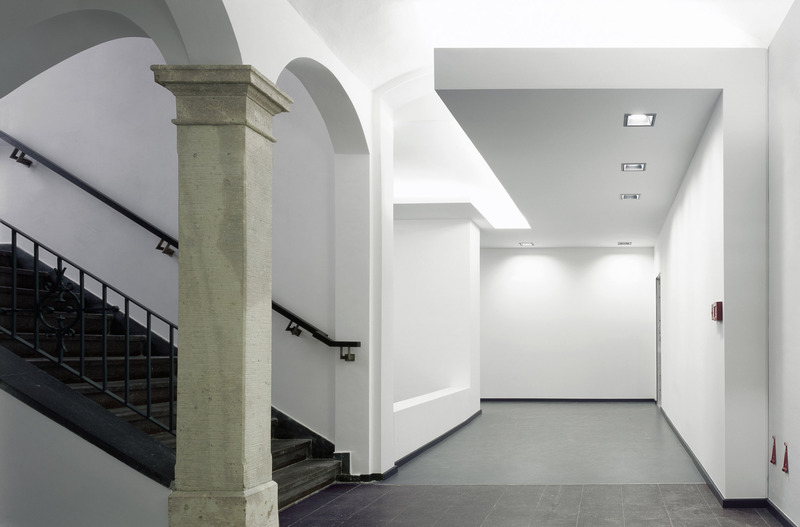 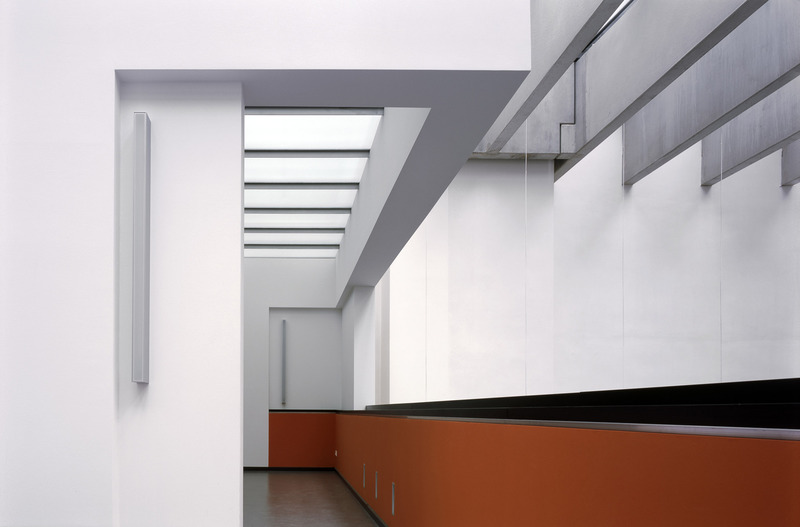 In addition to the complete technical and structural renovation of the building, the main task of the conversion project, won as a result of a competition, was to improve disability access between the levels of the four separate parts of the building, which have differing floor heights. 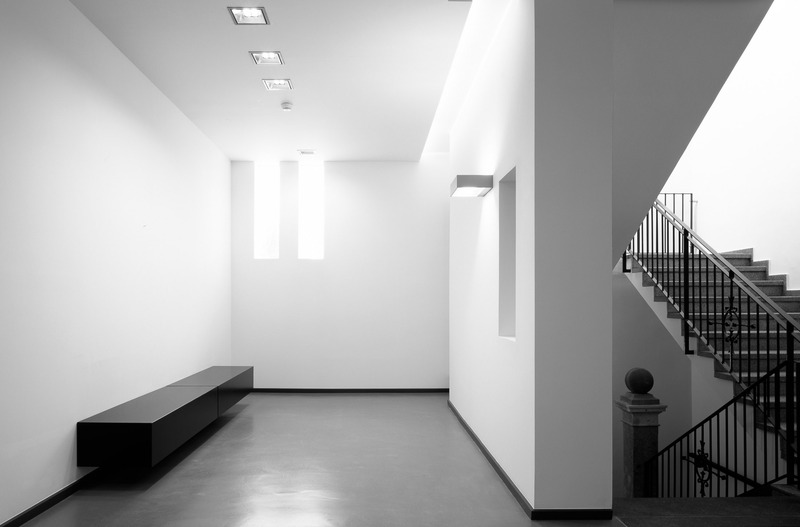 This task is accomplished with the creation of two different structures, which meander along the walls of the old building, partly passing through them, disappearing behind the facade in places and visually occupying the room in others. 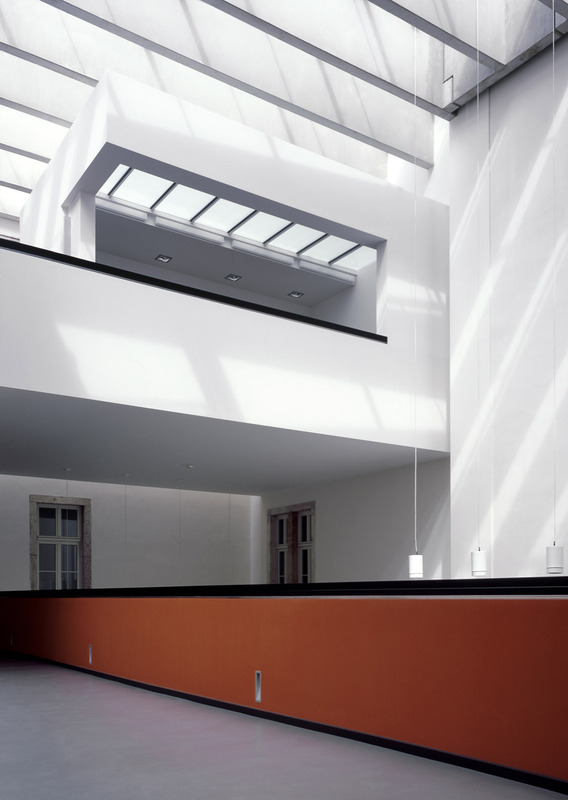 The positioning of the structures in relation to the space and to each other creates complex sightlines and vistas, which interact playfully with light and proportions. 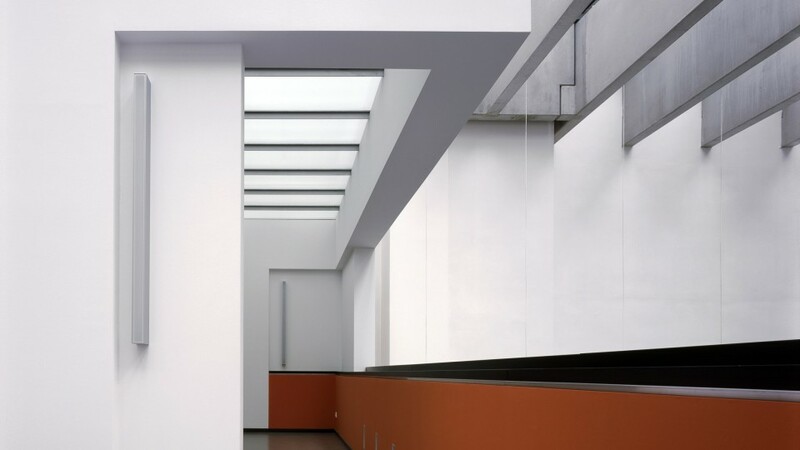 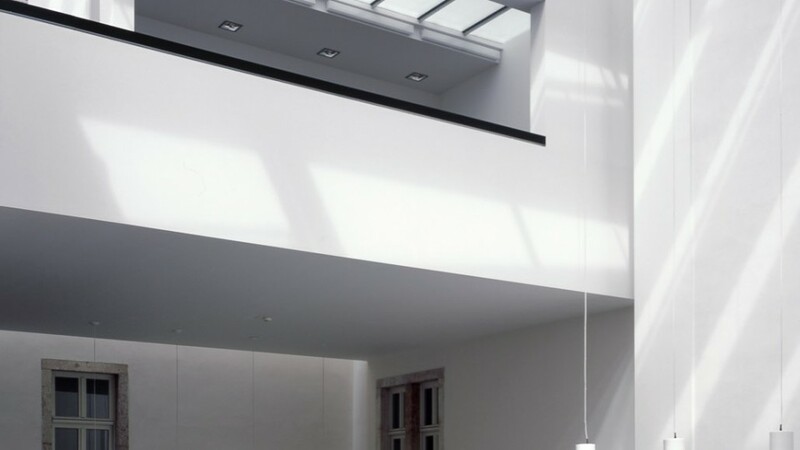 This effect is enhanced by the plate-like construction of the new glass roof, which, depending on the season and time of day, leads to constantly changing arrangements of light and shade. 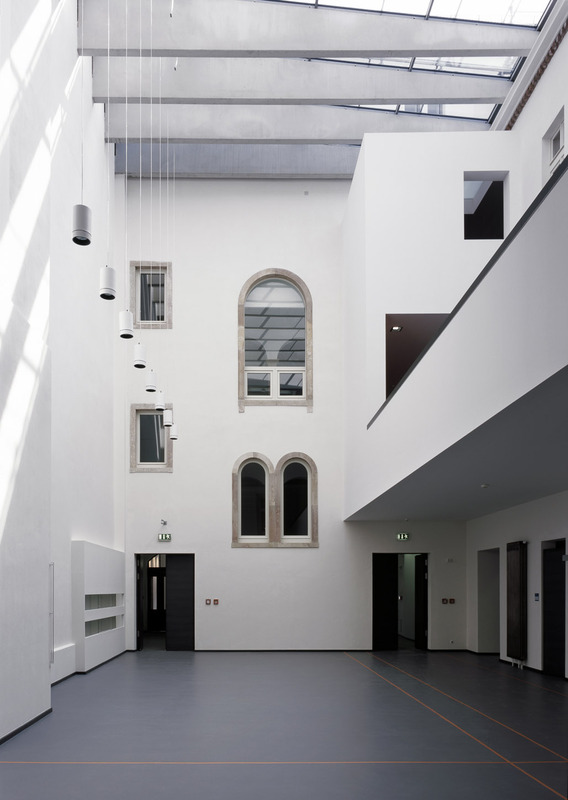 Following reconstruction, the atrium is a communicative space on all levels, meeting the high standards of a modern university whilst at the same time performing the function of opening up all four parts of the building. 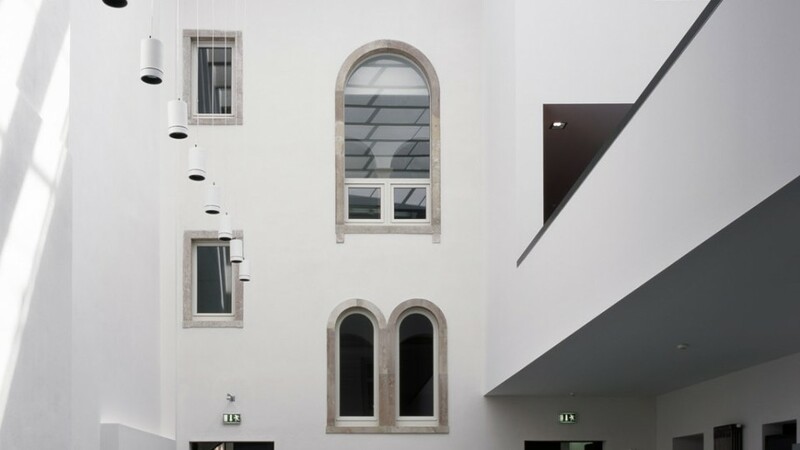 The restoration of the facade is based on a historical elevation from the year 1928.